The 3-9x40 Huntmaster Riflescope (Black Matte) from Barska is a perfect choice for serious shooters and hunters who are looking for the most essential features of a riflescope at a very affordable price. Parallax-free at 100 yards and fully coated optics makes this a high-value bang-for-the-buck riflescope. The Huntmaster offers a 1" single-tube construction with a 30/30 reticle. Mono-tube construction provides high recoil capability. It is endowed with ¼ MOA adjustments of the windage and elevation turrets. 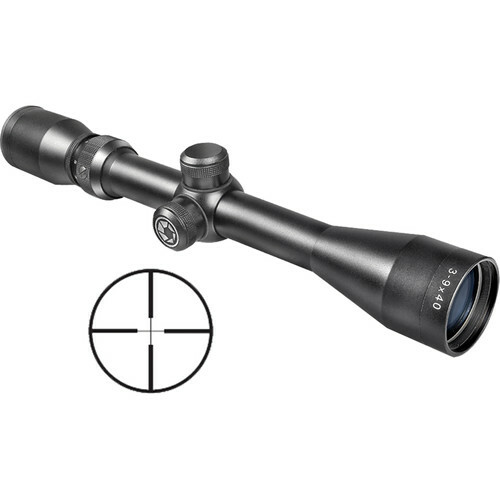 Backed by Barska's Limited Lifetime Warranty, with a black matte finish and scope caps, this is a riflescope for all types of general purpose hunting.